I love chocolate malts. When passing through the town of Pagosa Springs Colorado on a 9.5 hour drive, I couldn’t help but stop to sample the fare at The Malt Shoppe. Any place which bears the name malt is a place I want to check out. The speed with which they made the malt (and strawberry shake for the lovely lady) was a bit of a concern. But as soon as that malty chocolate taste hit my taste buds I was good. 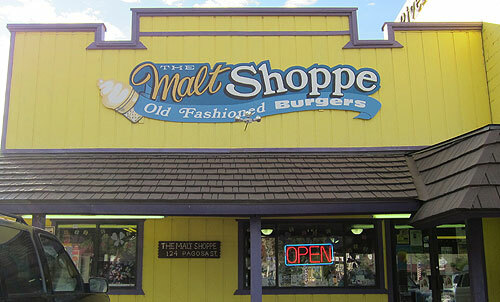 If you pass through the small town of Pagosa Springs, have a malt at the Malt Shoppe and tell them MegaChomp sent you. One warning though. The place isn’t very clean and the people who work there are distressingly obese. The bathroom wasn’t clean either. For a better experience, get your order to go.